Rupani Foundation was established in 2006 in order to create employment, promote equity participation, and reduce poverty in the marginalized communities of South and Central Asia. The mission of Rupani Foundation is to engage these regions by integrating underprivileged areas and people into the evolving global socio-economic society during the coming decades. Rupani Foundation firmly believes that the Northern Areas of Pakistan and neighboring countries in the Pamir and Hindukush mountain regions possess significant potential. The Foundation is encouraged and inspired by the resilience, educational achievement, work ethic, dedication, and determination of the mountain people to improve their living conditions. It is highly appreciative of the social and human capital cultivated by a multitude of development agencies over the last several decades. However, Rupani Foundation believes there is substantial benefit to these communities by unleashing the potential of the private sector. The Foundation's objective is to create economic opportunities, knowledgeable leadership, and 'aristocracies of merit' for the marginalized communities, particularly women and youth. In order to accomplish this, Rupani Foundation is mobilized to deploy the required technology and financial and human resources to facilitate market access and support the transition to a market-based economy. The Foundation works with communities, governmental and non-governmental organizations to achieve sustainability, accountability and effectiveness. 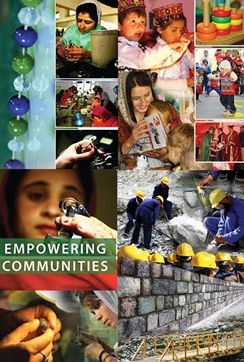 The Foundation has headquarters and field offices in Houston, Texas; Gilgit, Pakistan; Hyderabad, Pakistan; Ishkashim, Afghanistan; and Khorog, Tajikistan.